Adobe has reported its Q1 results, showing a drop in sales of 1 per cent. Other news is more positive, with a 37 per cent rise in its profit compared to a year ago. The company's sales drop didn't seem to affect the markets, which reported a rise in Adobe stocks of nearly 5 per cent in early trading. However, Adobe's top brass will be hoping to arrest the sales decline, which is largely due to a lack of new products. "Q1 was a solid quarter for Adobe, as we came in at the high end of our earnings target range and were within our targeted range for revenue," said Bruce Chizen, chief executive officer of Adobe. "As Adobe prepares for the biggest product launch in our history, we are excited about our opportunities and bullish about our prospects for another year of strong performance." That product launch is the 27 March unveiling of Creative Suite 3 (CS3), the new package of Photoshop, Illustrator, Flash and InDesign that design and print professionals use day in, day out. The launch is long awaited, especially in the Mac community where many design houses have had to delay upgrading to Intel-based Macs; the older versions of packages like Photoshop worked slowly on the new machines as they were under emulation. Power PC-native applications use Apple's Rosetta application to work on Intel-based Macs. CS3 will also bring full support for Windows Vista. 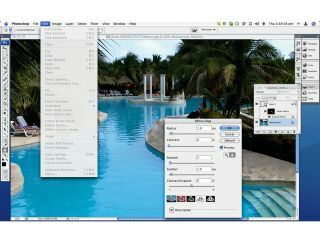 Adobe has already revealed it will be releasing two new versions of Photoshop, Adobe Photoshop CS3 and Adobe Photoshop CS3 Extended. Both have many similar features, but the latter will target people outside the traditional audiences, including architects, scientists, medical researchers and engineers. On Monday, we reported on Adobe's new Apollo technology, which bridges the gap between web applications and desktop computers. It released an alpha version of the program. In the first quarter of the 2007 financial year, Adobe achieved revenues of $649.4 million, compared to $655.5 million for the same period last year.